Great news! You can enjoy special introductory pricing on Watkins brand new Baker’s-Sized Extracts, but only for a very limited time! The introductory sale prices are effective September 25, 2011 through November 5, 2011! United States: regular $9.99 each or only $8.99 each when you buy 3 or more! Order your pure orange or peppermint extract here and the other gourmet extract flavors here. Canada: regular $10.99 each or only $9.49 only each when you buy 3 or more! Order your pure orange or peppermint extract here and the other gourmet flavors here. United States: regular $10.99 each or only $9.99 each when you buy 3 or more! Order your gourmet extract flavors here. Canada: regular $11.99 each or only $10.49 each when you buy 3 or more! Order your gourmet extracts here. United States: $11.99 each or only $10.99 each when you buy 3 or more! 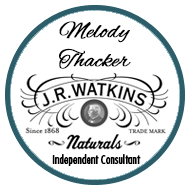 Order your Watkins pure mint or anise extract here or caramel and peanut butter extracts here. Canada: $13.49 each or only $11.99 each when you buy 3 or more! Order your pure mint and anise extract here or your caramel and peanut butter extracts here. Almond Extract United States: $12.99 or only $11.99 each when you buy 3 or more! 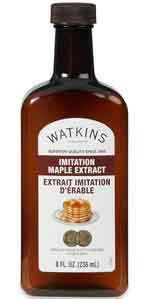 Almond Extract Canada: $14.99 or only $13.49 each when you buy 3 or more! How do you take advantage of this special offer? Simply go to the online catalog for your country and add any 3, 6, 9 etc of your choice to the shopping cart. Don’t worry if you don’t see the special pricing right away, it will be calculated during the check out process. Remember these sale prices are only available until November 5, 2011.